Services are scheduled Friday for a 2018 Lebanon High School graduate and member of College Hills Church of Christ who died after he was shot on Sunday, according to police. Cameron Sean Luke Griffith, 19, is the most recent teenager killed in Wilson County from suspected gunfire in recent months. Griffith was driven to a Discount Tobacco store on North Cumberland Street, confronted by multiple people and then shot, according to statements made to police. Mt. Juliet High School student JayShawn Taylor, 16, died after he was shot on Nov. 15, around the 200 block NW Clearview Drive in Wilson County, according to police. A 15-year-old was arrested in the case. Jacob Ethan Doughten, 19, and a 15-year-old boy were both killed from gunfire on April 15, at a Pilot gas station on Murfreesboro Road in Lebanon, which investigators believe occurred during a robbery attempt as multiple people met for a drug transaction. Griffith wanted to enlist in the Navy this spring, according to his older brother Brantly Cox, 30. Music, video games and the Dallas Cowboys were all interests for Griffith, his brother said. Lebanon police have not released further information on Griffith’s death or announced any suspects. A $1,000 reward is offered to anyone with information that leads to the conviction of anyone involved in the shooting, according to the department’s Facebook page. Visitation for Griffith will be 2-7 p.m., Friday at the Ligon & Bobo Funeral Home, 241 W. Main Street, Lebanon. The funeral service is scheduled immediately after at 7 p.m., also at the Ligon & Bobo Funeral Home. A private interment will be at Cedar Grove Cemetery. Three suspects are charged in the case. 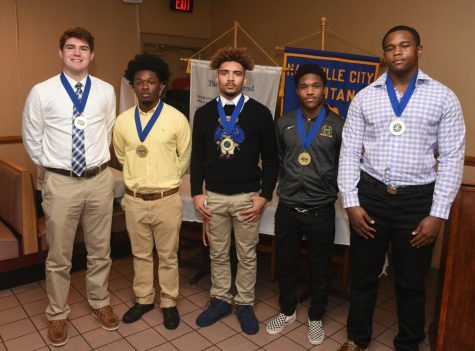 The 34th Annual Metro Nashville Football Coaches Association presented the 2018 the Inductees into the Metro Football Coach’s Hall of Fame, the All-City team and honorable mention team members and inducted two new members into the Metro Nashville Football Coaches Hall of Fame Thursday, December 6, 2018. 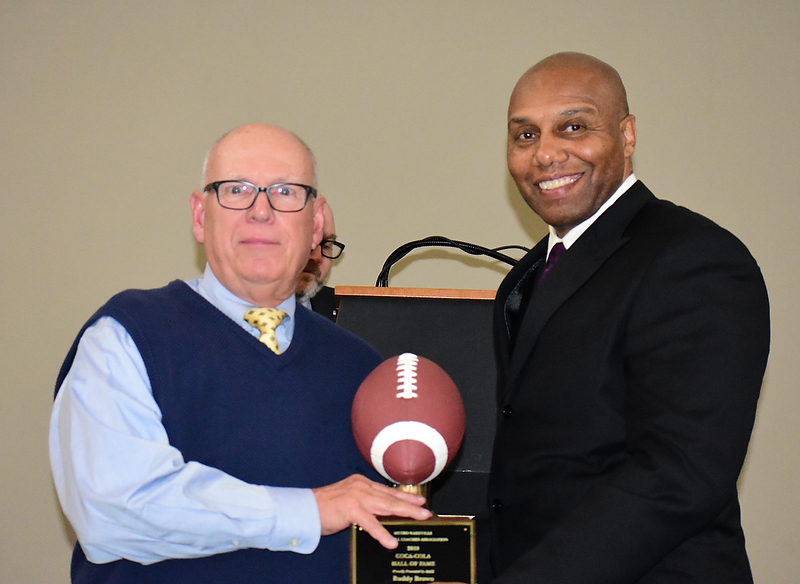 Steve Peden, assistant coach (40 years) and Buddy Brown (36 years), Metro coach were presented a trophy to a full house of coaches and players who gathered at the Maxwell House Millennial Hotel to dine on a fine meal and socialize in setting other than a football field. Pearl Cohn’s Ninth Grade Football Team was honored as the 9th Grade City Champion with the City Gold Ball Trophy, their third time in a row, It has an engraved plaque of each year’s winner on it and is on display at the winning school for a year until presented at the next season’s banquet. Other special awards include a presentation of the Coach of the Year Award to Eddie Woods, Head Coach of Cane Ridge High School. This was his third time to win the award. Below are the special awards given to the honorees Thursday night. Awards were given to each player by the Athletic Directo of MNPS, Roosevelt Sanders. The banquet was sponsored by Coca Cola. Joe Honeysucker – DL/ Sr.
Donald Fitzgerald – OL / Sr.
Darius Smith – QB/ Sr.
Brian Covington – RB/ Jr.
Samari Burns – WR/DB; Sr.
David Jefferson – RB; Sr.
Aran Mohamad-Ali – OL; Sr.
Micah Kimble – DB; Sr.
Chris Washington – OL; Jr.
Cameron Davis – QB; Fr. Deshae Griffin – WR; Jr.
Chris Jordan – OL / Sr.
JaDonte Hodges – WR/DB Jr.
Antione Williams – WR/ Sr.
Monty Thomas – DL/ Sr.
Mark Thomas – DL/ Sr.
Ricardo Ruiz – OL / Sr.
Damien Patterson – RB/ Sr.
Olenx Moise – DB/ Sr.
Miller Baker – TE/ Sr.
Kyle Carder – WR / Sr.
Eric Kinnard – WR / Sr.
Jashon Watkins – DB/ Sr.
Jaylun Davis – DL/ Sr.
Stanley Cross – DB/ Sr.
Arondai Thompson – QB/ Jr.
Anthony Collier – DL/ Sr.
Jayden Harrison – WR / Sr.
Mayson Harris – OL/ Sr.
Deshaun Wade – DL/ Jr.
Kwame Hayes – DB/ Sr.
Darryl Rogan – DL/ Sr.
Kyndrich Breedlove – RB/ Soph. 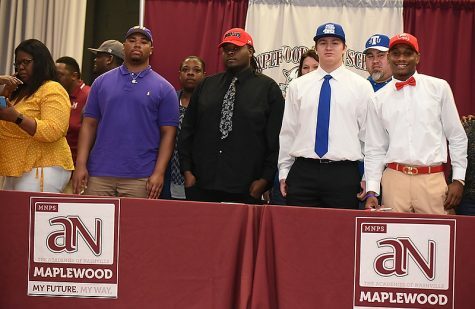 James Moore- RB / Jr.
Quasean Robinson – OL/ Sr.
Deairrus Waller – OL Sr.
Tomory Stephens – LB / Sr.
Jaquez Norman – RB/ Sr.
Michael Reese – OL/ Jr.
Kenneth Allen – OL/ Jr.
Korey Andrews – QB/ Sr.
Theo Chisom – LB/ Sr.
Odannie Hall – DB/ Sr.
Harley Tyler-Neal – LB/ Sr.
Ronnie Hill – QB/ Sr.
Jailen Wawa – LB/ Sr.
Shemar Kirk – RB / Sr.
On Wednesday, December 5, 2018, Tennessee’s longest running scholar-athlete award will be presented to the 76th winner of the Hume Award. The award is given to those young men who exhibit excellence in sportsmanship, scholarship, and football ability. Being nominated as a finalist of the Hume Award is an honor like no other high school award. 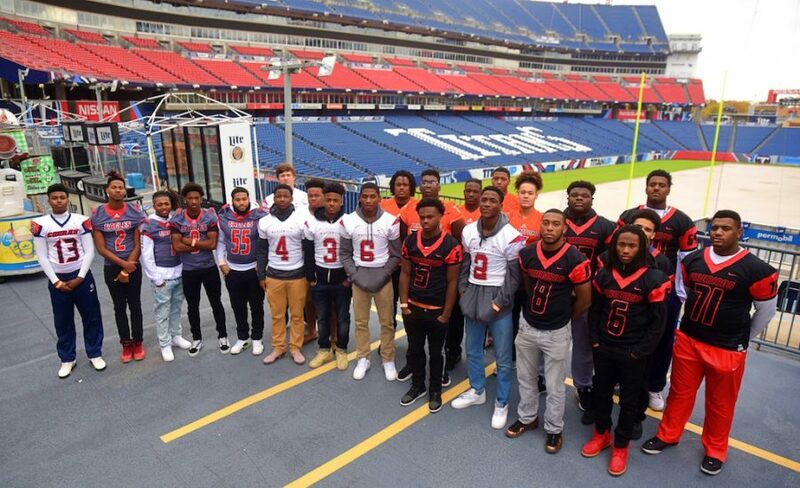 Each Metro Nashville Public School that fields a football team send in a nominee that has been chosen by criteria that matches the mission of the civic organizations who now sponsor the award. 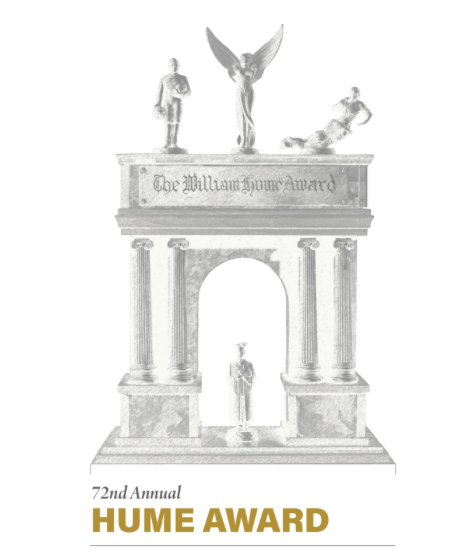 When one becomes one of the five finalist of the Hume Award, these young men will join a rare group of of former Hume nominees who understand that it is an honor to make the cut of five. One of this year’s nominees be it Joseph Honeysucker, Hale Page, Sid Souksangouane, or Devon Starling will join the previous 75 and will become 76th Hume scholar-athlete to have his name inscribed on the historic trophy. The Hume Trophy is held on display at the school of the winner and is displayed for until the next award ceremony. In 1944, while he was watching a football game between two team s at West High School, Mr. William Hume who at the time, was a prominent Nashville attorney and civic leader, sparked a conversation with the Superintendent of Nashville City Schools Mr. W.A. Bass. 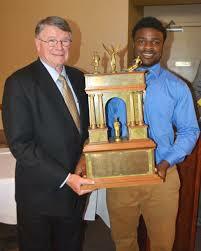 Mr. Hume envisioned an award for the talented young men who play football for Nashville City Schools. This idea intrigued Mr. Bass and thus became the Hume Award. 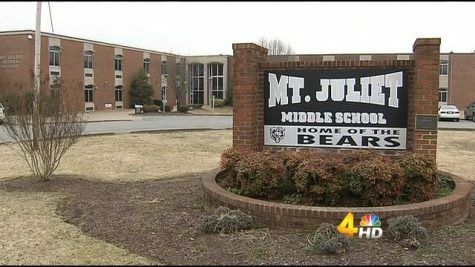 When the Nashville City Schools and Davidson County School systems merged into the Metropolitan Nashville Public Schools System, those schools were included in the eligibility for the award. Recipients of this award receive a plaque and a trophy which rotates to each winner’s school the year they accept the award. When Mr. Hume passed away, his wife Mrs. Hume loyally carried out his legacy and set up a trust fund in his name that has continuously provided the award to the winners. D.J. 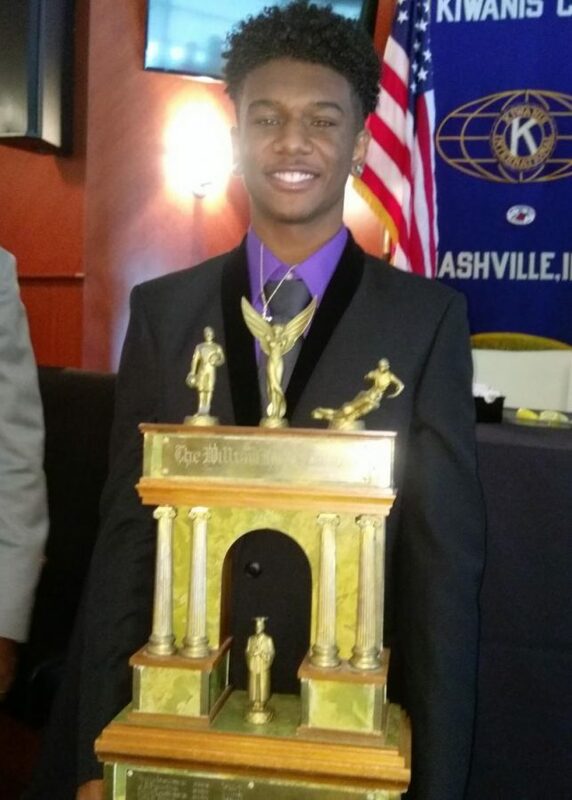 Thorpe, Cane Ridge High School’s first ever Hume Award winner. 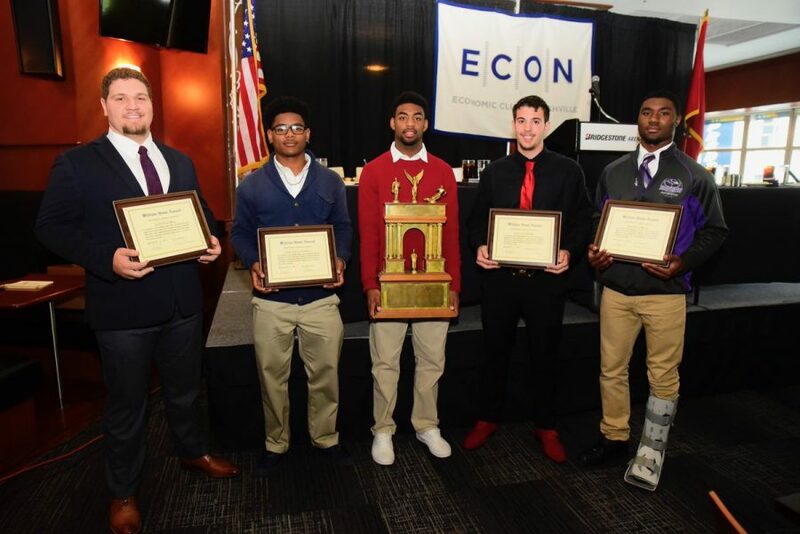 Each Metro school submits a nominee that is chosen by the executive principal and head football coach based on the player’s scholarship, talent and overall value to their team. 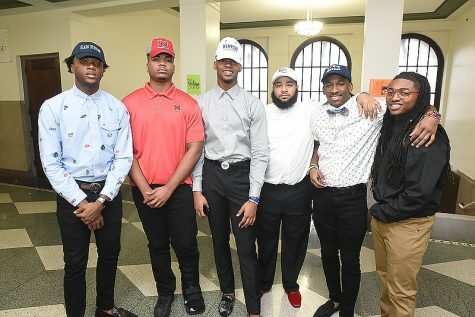 Then, a committee made up of representatives of the host civic group, the president of Secondary Schools Principals Association, the president of the Middle Tennessee Football Officials Association, and the sports writers that cover high school football chose the five finalists and the overall winner from the group of selected nominees. 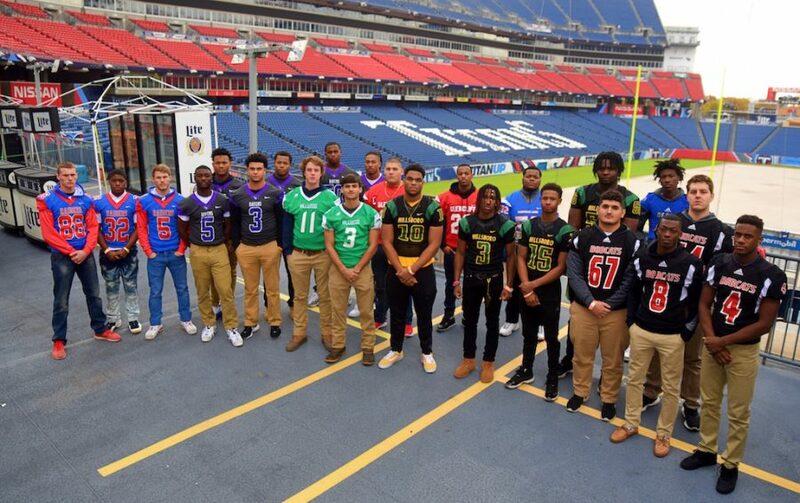 The Metro Nashville Football Coaches Association announced Tuesday November 20, 2018 its 34th All City Team. The Class of 2018 MVPs and inductees into the Coaches Hall of Fame will be announced on Thursday, December 6, 2018 at the annual banquet held for the All City players and their coaches at the Maxwell House at 6:00 P.M. 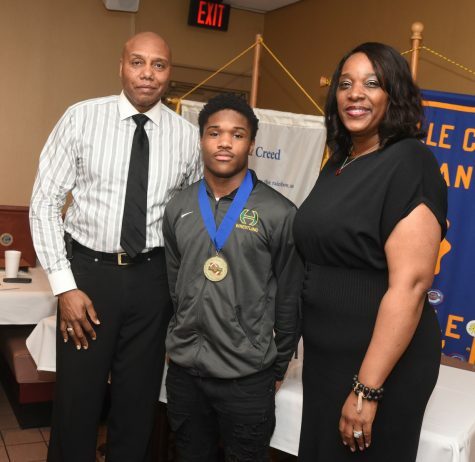 The banquet and award ceremony is an annual event that allows those players who are considered by their coaches an opportunity to socialize and discuss the season in a familial manner. Nashville athletics has had a long tradition of building relationships among competitors as is often the case, they will become fellow colleagues as coaches and teachers in the future. *Jailen Wawa – LB/ Sr.
PHOENIX – It is exciting when any graduate from the greater Nashville area signs with a college and has four successful years as a student-athlete. 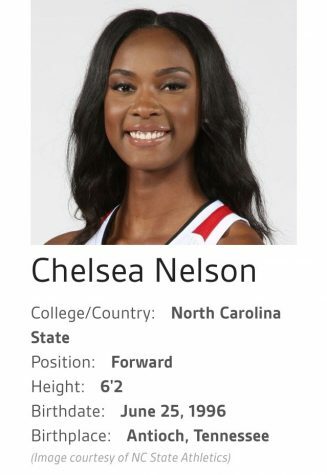 It is even more gratifying to watch a career bloom into a professional career when the athlete is as genuinely passionate and talented as North Carolina State Wolfpack’s forward, Chelsea Nelson who on April, 14, 2018 signed to the training camp roster of the WNBA’s Phoenix Mercury, the team announced Wednesday. Senior forward, Chelsea Nelson of the No. 16 NC State women’s basketball team averaged 12.9 points and 9.4 rebounds per game and is Nashville’s new reason to watch the WNBA. 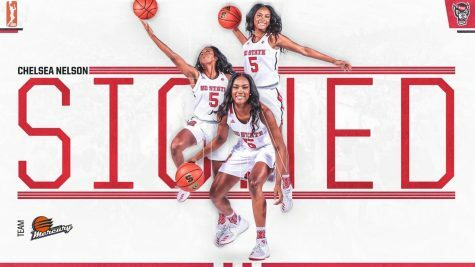 Nelson helped the Wolfpack achieve a very successful 2017-18 season that featured 26 wins and a return to the Sweet 16 of the NCAA Tournament for the first time since 2007. 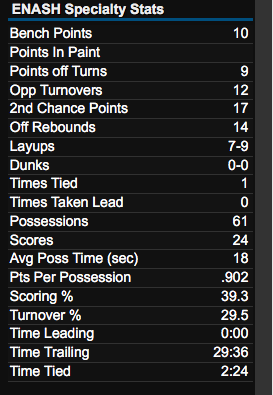 The Wolfpack posted a 16-2 record on Kay Yow Court that included two NCAA Tournament victories. The achievement of going 16-2 at Reynolds Coliseum marked the second best home record in 44 completed seasons of Wolfpack basketball. 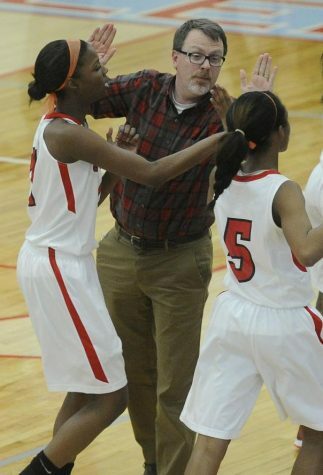 As a John Overton Bobcat, Nelson helped to lead her team deep into the TSSAA 2013-2014 state playoffs which ended in a sectional game against Rossview one game out from a trip to state. Averaging 13.5 PPG, 8.6 RPG, and 2.4 APG she lead her team to sectionals scoring 27 points against Franklin earning All District (regular season) and All Regional Tournament. She was the first varsity female basketball player to earn 1,000 points since assistant coach, Monica League did in 2000 under coaches then assistant coach Todd Douthit and head coach Kayla Wiggins. 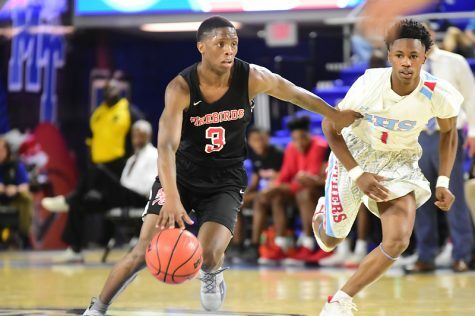 Ranked 24th among wing players by ESPN and prior to signing with North Carolina State, Nelson scored a 90 in ESPN’s recruiting rankings. In addition to her time on the court, also was an accomplished cross country runner in high school. As a member of the NCSU Wolfpack, Nelson was First Team All-ACC as a senior, junior and sophomore. And notably, she played all 33 games and averaged 17.3 minutes per contest her freshman year. Along with Ashley Williams, Nelson was named NC State’s co-Sixth Man of the Year. She led the team in scoring (12.9 points per game) and rebounding (9.4 rebounds per game) as a senior and scored 10+ points in a game 28 times as a senior and 62 times for her career. Nelson recorded 11 double-doubles during her senior season (21 career), Grabbed 10+ rebounds in a single game 13 times as a senior (23 career) and led the team in scoring on 11 occasions and rebounding on 20 occasions during her senior season. Nelson set a new ACC Tournament record with 22 rebounds in a March 2 win over No. 18 Duke and scored a career high 30 points in a Feb. 22 win at Pittsburgh. Perhaps most impressively, Nelson demonstrated she each year’s success as a map for her goals for the upcoming year. From her freshman to senior seasons, Chelsea improved her scoring average from 4.9 points per game to 12.9 points per game and from her freshman to senior seasons, improved her rebounding average from 4.0 rebounds per game to 9.4 rebounds per game. Based on her data, the Phoenix Mercury have signed a player who intends to mark up record books. We know from her early years in high school, she really is only getting started. 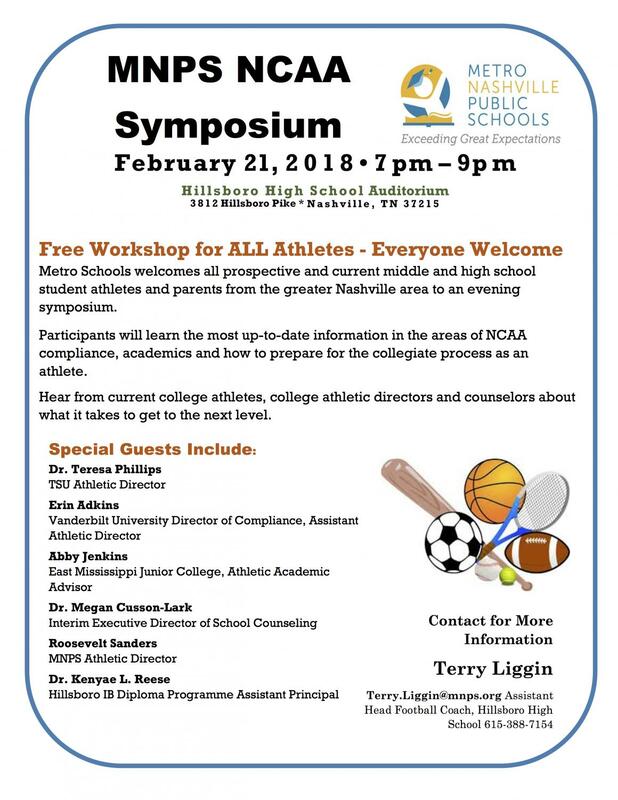 Hillsboro High School will be hosting the first annual Athletic Collegiate Compliance Symposium for any male or female athlete in the greater Nashville area who is interested in learning more about what it takes to move the to collegiate level as a scholar-athlete. The Symposium is the brainchild created by Assistant Hillsboro Football Coach, Terry Liggin, who wants to help provide information in area rarely discussed with athletes in a counseling setting. 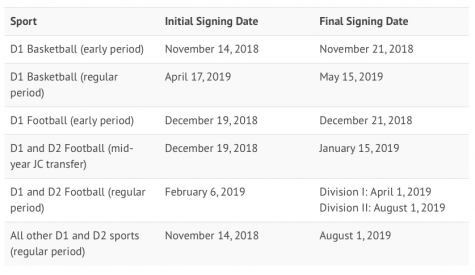 The event’s purpose is to inform student-athletes and their parents what the criteria and step by step process needed to complete NCAA Clearinghouse requirements. Many representatives from both Division I Universities and junior colleges will be at the event to share stories and challenges. Many student athletes believe they just have to be good at their sport to get into college but this could not be farther from the truth. 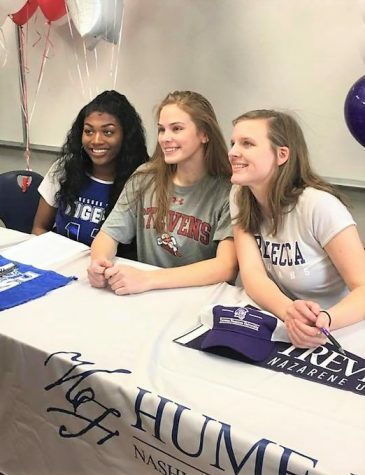 Talent is of course important, but to play at the collegiate level, there are NCAA requirements every athlete has to complete to be deemed eligible for consideration by schools. The Compliance Symposium is open to all area female and male high school and middle school athletes.